Writing a book is a wonderful experience. Getting it reviewed is the second challenge authors encounter. If you don’t have a PR rep then you need to make a daily or weekly effort to contact reviewers. Don’t be discouraged if they don’t read your genre. Just keep on writing them. I currently will read the following for book reviews. I do have a TBR list so all I can do is read it asap. I call it like I see it in a conversational tone. I will never put down an author. • Include a book cover jpg., format, title, publisher, page count, cost, publishing date, 2 paragraph summary. Contact me with BOOK REVIEW REQUESTS in the subject line. E-mail: paranormal77@icloud.com. • PR reps for big or small press publishing companies can send a monthly flyer of new releases. I prefer the finished product, rather than ARCs. I do read self published novels if the book has been professionally edited. A publisher will send me an envelope of books and I select 2-3 to read, the rest get book cover and summaries or a guest blog post. I read hardcovers, paperbacks, trade paperbacks and kindle e-books. 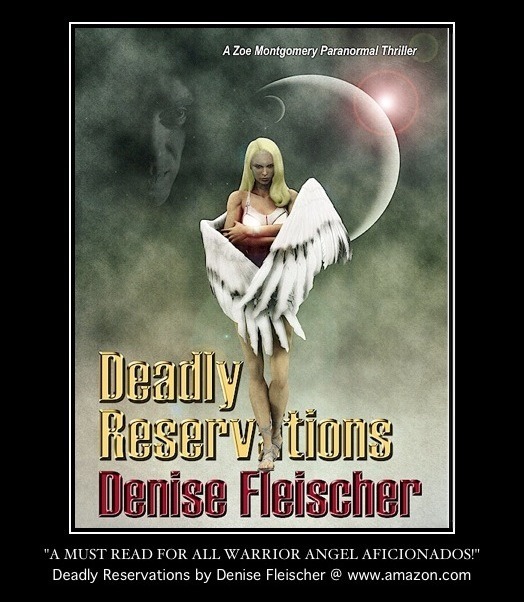 Send e-book invites to read to my account on NetGalley: Denise Fleischer. Email for my snail mail address in Illinois. I post reviews on Gotta Write. I can post on goodreads and Amazon if you request it. • I keep a book review request log so I try to be fair and timely. GWN’s list is growing daily. If you’re willing to wait a bit, I will get to you. I read during my lunch period at work and every night. I post reviews frequently.